One of the really enjoyable perks about writing for TV Goodness is that we get to chat with the TV folks who consistently bring us joy. Exhibit A: Andrew Walker, who is back on Hallmark Channel in the newest Wedding March installment, Something Old, Something New, his 12th Hallmark movie. I recently talked with Walker, for the fourth time, about the new movie and a couple of his other recent films that we loved. Wedding March 4 spins the formula of its predecessor by introducing an engaged couple into the mix as the film’s throughline characters, Mick (Jack Wagner) and Olivia (Josie Bissett), try to capture some “me time” before a couple’s upcoming wedding at their inn. When the couple arrives early, as does Olivia’s daughter, and once-firm wedding plans start to unravel, both couples have to regroup. 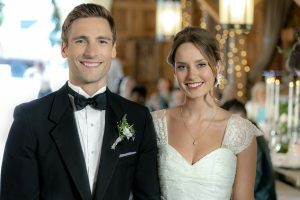 Walker plays groom-to-be Rob, whose family history looms large over his fiancÃ©e, Abby (Merritt Patterson), who’s on her own since the death of her mother. The film is definitely more of an ensemble than his recent movies, and he enjoyed the mix. “I felt like I was robbing them just being there. The location was amazing. It’s called Harrison Hot Springs, southeast of Vancouver a couple of hours. Right on a lake, a little town nestled in the middle of the Rockies. It was just gorgeous.,” he shares. He hasn’t seen the first three movies, but had a general sense of them, and actually had a tangential connection to the director, Peter DeLuise. “I know his brother really well in Los Angeles and have gone to a yoga retreat with him and a bunch of other friends,” he laughs. Walker appreciated the camaraderie of the large group while working on the film and struck up a new friendship with Wagner. “I loved the scenes that all of the cast were in, where everyone was together. We were having a blast. Jack Wagner…you get him going, he’s a real jokester. We connected over health and nutrition stuff and we’d have gym dates at the end of our working day and kind of push each other in the gym,” he says. 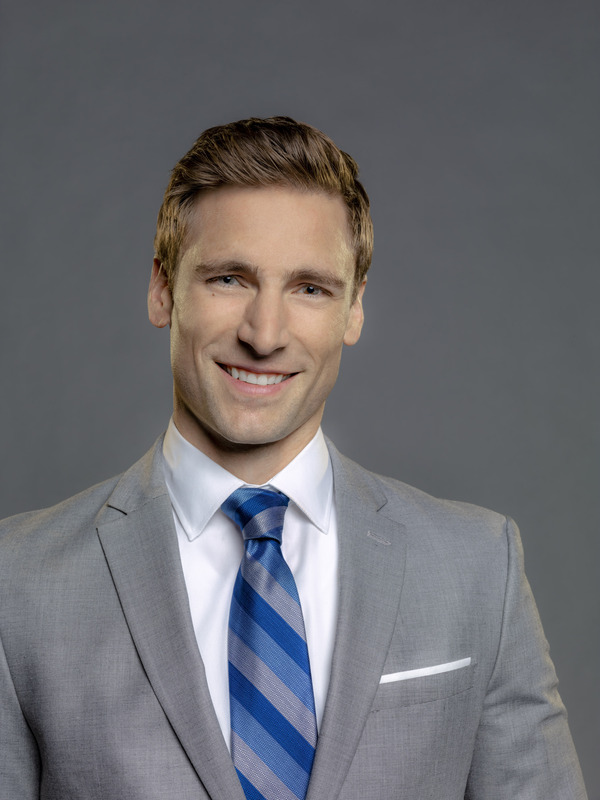 Earlier this year, Walker starred opposite Lacey Chabert in My Secret Valentine, and thoroughly enjoyed that shoot for its location and his co-star. He said as of right now there are no plans for a sequel, but never say never. “I got to be in this beautiful city. We were shooting in Prince Edward County. It’s a newer wine country and has been around about 17 years. The first winery opened in 2001 and now there are about 40 wineries,” he explains. 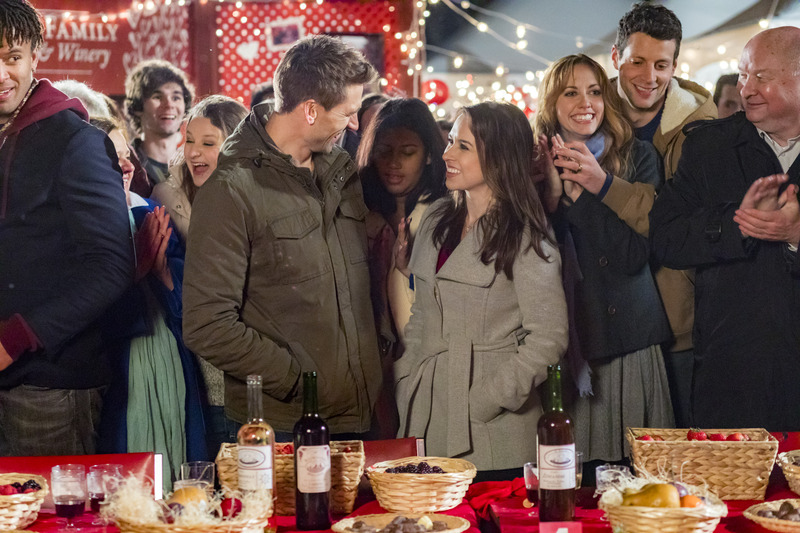 We’re particularly fond of Walker’s Snowed Inn Christmas, which even spun off a music video with his co-star, Bethany Joy Lenz. He says that came out of them riffing music between scenes. “She’s really into 1950s music so she’d be singing some Frank [Sinatra] or just crooning and I’d throw my two cents in and we started connecting on music,” he recalls. 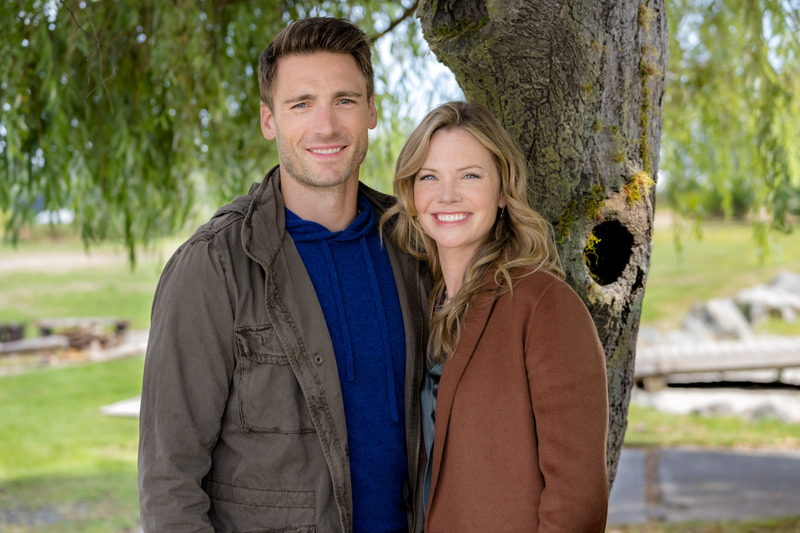 Wedding March 4: Something Old, Something New premieres Saturday at 9 pm/8c on Hallmark Channel. Here’s a sneak peek.